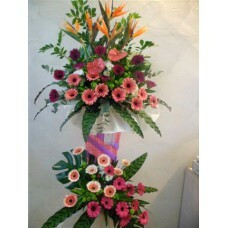 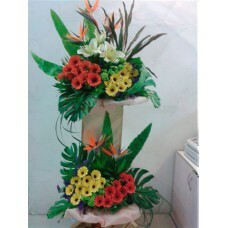 Celebrate a new business with a Doubled tiered arrangement of Bird of Paradise, Anthuriums..
A perfect arrangement by our florist of a Doubled tiered arrangement of Lilies, Daisies, P..
Lovely arrangement of a double tiered arrangement of Bird of Paradise , Gerberas and Lilie..
Delightful Single tiered arrangement of Roses, Orchids and Gerberas for opening ceremony&n.. 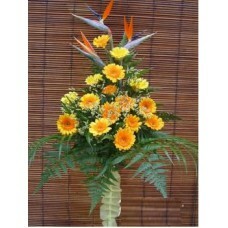 Single tiered arrangement of Bird of Paradise and Gerberas for opening ceremony &..
An eye catching composition of a single tiered arrangement of Hydrangeas, Ginger Flowers a.. 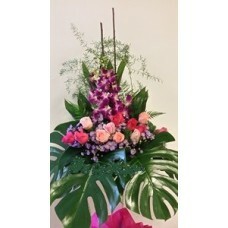 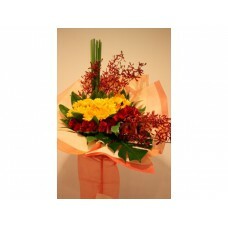 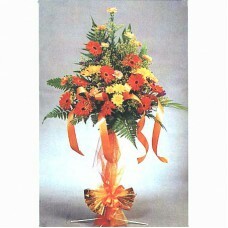 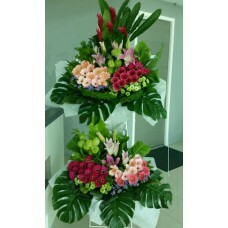 Beautifully arranged floral one tier stand of Roses and Orchids for opening ceremony ..